Which Minerals Should You Add to Distilled Water Before Drinking? The use of distilled water for drinking is vital in areas that have poor tap water or polluted drinking water sources, as the distillation process purifies the water. However, the loss of minerals during the distillation process has led some to suggest that drinking distilled water can be harmful. Adding minerals to distilled water seems like a logical response, but it is not as easy as it seems due to the varied differences in the mineral content of water. Understanding what's involved in the distillation process can help you make an informed decision. Distillation involves heating water to the boiling point, and the steam produced is then collected in cooling tubes. The steam is further condensed and collected in a second container as purified water, which is free of impurities, including bacteria, lead, sodium, nitrates and others. Minerals and dissolved oxygen are also removed, which makes the water softer but also causes it to be tasteless or flat. 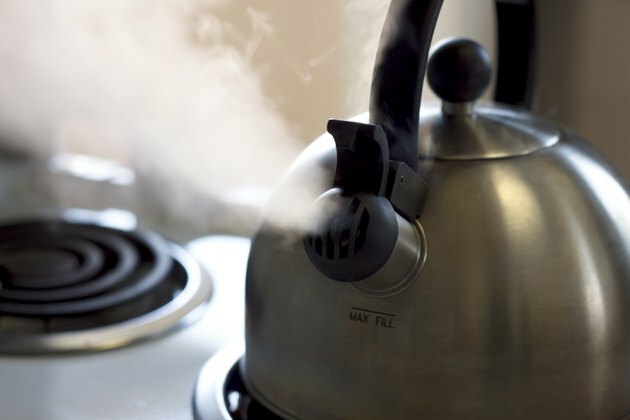 According to the Environmental Protection Agency, some gases produced by the steaming process, such as radon, may remain in the distilled water, unless the distillation system used has the capability to remove them. The mineral content of undistilled tap water varies greatly across different geographical locations, but it can contain many of the key minerals needed for the human diet, including calcium, sodium, potassium, chloride, magnesium, iron, zinc, chromium and others. Many sources of water also provide fluoride, which is helpful in preventing tooth decay. Distillation removes all of these minerals and electrolytes. Tap water can provide up to 20 percent of the dietary intake of calcium and magnesium, according to the World Health Organization, but for the rest of the minerals that figure is less than 5 percent. According to the WHO, the bulk of your daily requirements for nutrients are found in the food you eat. Although not many studies have been done on the effects of drinking distilled water, a study published in the 2001 "Journal of General Internal Medicine" looked at the mineral content of tap water in 21 major cities in North America. The researchers found that although mineral content varied across different geography, North American's tap water may provide clinically relevant amounts of calcium, magnesium and sodium, all of which are eliminated during the distillation process. Although opinions vary as to the health benefits of drinking distilled water, if consumed regularly, it can deprive you of certain minerals, according to Frantisek Kozisek of the World Health Organization. Mineral packs are available at health food stores that are specifically geared toward using with distilled water, but you should check with your doctor before attempting to use them, particularly if you are going to drink distilled water for a longer period. Your doctor can advise you of any potential hazards specific to your body's mineral needs. United States Environmental Protection Agency: How Does Distillation Work and What Contaminants Will It Remove from My Drinking Water?